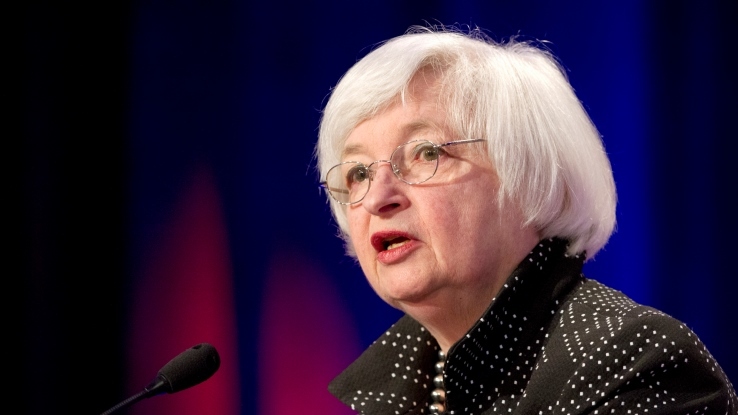 Janet Yellen says economic expansions dont die of old age. Neither do bull markets. (Bloomberg) — Janet Yellen says economic expansions don’t die of old age. Neither do bull markets. At almost 82 months, the advance in the Standard & Poor’s 500 Index that has lifted U.S. share prices threefold is poised to become the second-longest ever in 2016, eclipsing a stretch in the 1950s in which prices almost quadrupled. As the rally that has restored $15 trillion to share prices sails past milestones, it’s natural for investors to wonder if time itself becomes a barrier to progress. Reaching that conclusion is a mistake, according to Jeff Rubin, the director of research at Birinyi Associates Inc., who says bailing out just because prices have been going up is a standard error of market timing that will usually end up losing money. Rubin sees no statistical basis for a belief that the bull market’s age makes equities more likely to fall in 2016 than in any other year. But wait, doesn’t the fact that there’s never been a bull market longer than 10 years imply that the chance of extinction rises over time? Sort of — but not in a way that tells you anything about 2016. The probabilities are similar to those underlying coin flips, where 20 straight heads are very unlikely, but odds on the next one are always 50-50. Yellen, the Federal Reserve chair, addressed the length of the economic recovery during a press conference after the Fed’s announcement it would raise interest rates. She said it’s a myth that expansions die of old age and that the recovery’s days are not necessarily numbered. The issue comes up with respect to monetary policy because the Fed is raising rates at an unusually late stage of the business cycle — six years in. The same is true in stocks, where the S&P 500 just completed its longest stretch in its history without an interest rate increase and a 20 percent decline that would mark a bear market. The idea that the past says nothing about the future is a central tenet of the random walk theory on asset prices championed by academics such as Eugene Fama and Burton Malkiel. Since 1930, about 67 percent of years have been positive for the S&P 500. After a year in which the index falls, the odds it will rise in the next one are 63 percent, data compiled by Bloomberg show. Odds that one up year will be followed by another are 66 percent. U.S. advances over the past 88 years have averaged 57 months in length and only two have gone on for longer than the one happening now, according to S&P data going back to the 1920s. At 22.2 times earnings calculated under generally accepted accounting principles, the S&P 500’s valuation is 31 percent above its average since 1936, data compiled by Bloomberg and S&P Dow Jones Indices show. It’s the paucity of past examples that makes analysis difficult. There have been two bull markets in the past 100 years that have gone on for this long: one stopped a few months later, the other, the dot-com bubble, went on for three more years. Which holds the lesson for now? What exactly does end market rallies is up for debate. While some investors will say elevated valuations herald declines, others point to inflation. History shows bear markets have coincided with economic recessions 10 times since the Great Depression, with the peak of equities preceding the start of recessions by an average nine months, data compiled by Bloomberg show. –With assistance from Lu Wang.